Happy New Year from the Nova Contemporary Jazz Orchestra. 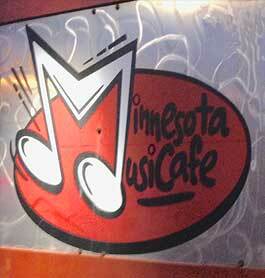 Our first outing of the year is coming up at the Minnesota Music Café, Tuesday, January 13, at 7pm. We’ll play until 9pm with a short break. 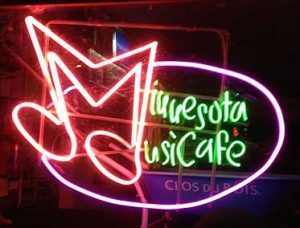 We’re confident that many have made the (easily to fulfill) New Year’s resolution to hear more home-grown Minnesotan Jazz. Well, here’s your first chance of the year! See you there! P.S. — Thanks to everyone who showed up for our Christmas Concert. It was great to have such a wonderful audience! Greetings all you Jazz fans. It’s time for another Nova Jazz event and I hope you will be able to join us for one or both of our upcoming shows. On Sunday March 24, 7pm, at Studio Z in Downtown St. Paul, the Nova Band will be doing a program dedicated to our great friend and noted composer and music author W.A. Mathieu. Studio Z is located at 275 East Fourth Street Suite 200 Saint Paul, MN, 55101 (651) 755-1600, right across the street from the St. Paul Farmers’ Market. This program will feature Bill Mathieu’s works for Jazz Orchestra written from 1958 to 2012. This concert will include the first-ever public performance of a piece Mathieu wrote especially for the Nova Band. Written as a through-composed Concerto in the classical style, the “Concerto Nova” is a six-movement masterwork, that melds bebop and cool jazz into a third stream work of amazing sounds. Nova is very pleased to be able to perform this outstanding music and hope you can join us. And we are particularly proud of our collaboration with Mathieu. He broke into the music scene in 1958 when, as an 18-year-old phenom, he became staff arranger and trumpeter on the Stan Kenton Orchestra. Kenton’s 1959 album, Standards in Silhouette, showcases Mathieu’s rich melodic writing and sophisticated harmonies. That album was critically acclaimed and remains one of the highlights of the Kenton Discography. Bill then spent time writing for Duke Ellington, Maynard Ferguson and others. In the mid-‘60s, Bill became the founding music director of the Second City Theatre in Chicago and its companion theatre in San Francisco. Bill remains a renowned composer, compositional teacher and music author on the West Coast. Nova collaborated with Mathieu in 2010, in playing a number of previously-unrecorded originals and arrangements for the Kenton band, culminating in a critically-acclaimed album. That collaboration ripened into Mathieu writing Concerto Nova especially for the Nova Band. 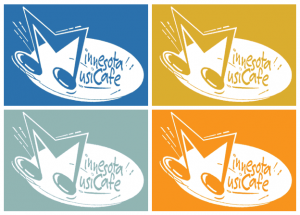 To give this music its full scope, we have scheduled a second premier for Sunday, April 28, 2012 at 4 pm at Saint James Lutheran Church, 460 Annapolis Street, West St. Paul. This event will be a concert and live recording session as Nova strives to get a studio-quality recording of the Concerto with a live audience. I hope you can join us for one of these premier events.